Dr. Vicky Sutton is a Chartered Clinical Psychologist who is also registered with the Health Professionals Council (HPC). Since qualifying in 2005, she has specialised in working with traumatised children, their families and professional networks. Dr. Sutton has held specialist ‘looked after children’ posts in both Social Services and the NHS. Since April 2012, Dr. Sutton has worked exclusively in the private sector providing psychological assessments of children’s needs (including attachment / impact of trauma); expert witness assessments and reports for Court; therapeutic interventions; consultation (parents, carers, residential workers, social workers); training and supervision. Dr. Sutton strongly believes that when children (due to their early experiences of abuse and neglect) struggle to feel safe within their placements, therapeutic approaches that focus on strengthening the child’s attachment to his or her Carers are the most effective in achieving placement stability. For this reason, she has specialised in the therapeutic approach Dyadic Developmental Psychotherapy. This is Dr. Sutton’s core treatment approach when working with children and their families. 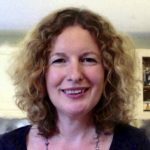 Vicky is a certified DDP Practitioner, Consultant and Trainer and has presented at DDP Conferences both in the UK and USA. Vicky currently sits on the DDPI Board and is also a Director for DDP Connects UK. In these roles, Vicky supports the growth and development of DDP by helping to organise DDP Study Days, DDP Special Interest Groups and other CPD events.